Snorkelling at pemuteran. In the past Pemuteran reefs have suffered greatly from damage by destructive fishing and the El Nino effect. Pemuteran village residents have taken action to prevent use of these destructive methods in their reefs, whether by locals or by outsiders. Coral nurseries were built using the Electrolytic Mineral Accretion Technology, which provide unique advantages for restoring coral reefs. 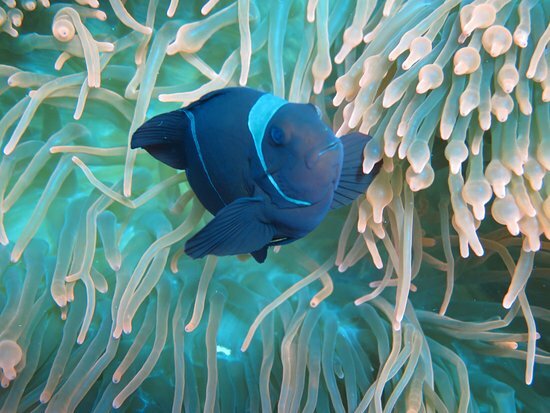 Corals grown on mineral accretion are exceptionally brightly coloured and rapidly growing, and support dense fish populations. 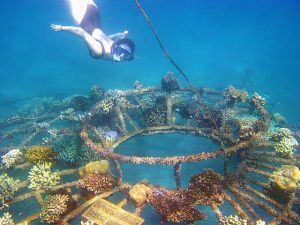 The coral nursery structures are made of welded construction steel bars, of around 1 centimetre diameter. They are built in a variety of shapes. The success of these structures in stimulating rapid coral growth was apparent within months, leading to requests to greatly expand the project. All structures are charged by power supplies located on the adjacent land. More than 60 Biorock coral nursery structures have been installed since June 2000 in Pemuteran Village. With a total length of 300 metres situated in an area of 2 hectares: this is the largest Biorock coral reef nursery and restoration project worldwide. These structures are located in an area parallel to the shore, about 50-100 metres from the coastline, in waters ranging from about 3 to 7 metres deep. They are roughly lined up, forming a natural snorkelling and diving trail. 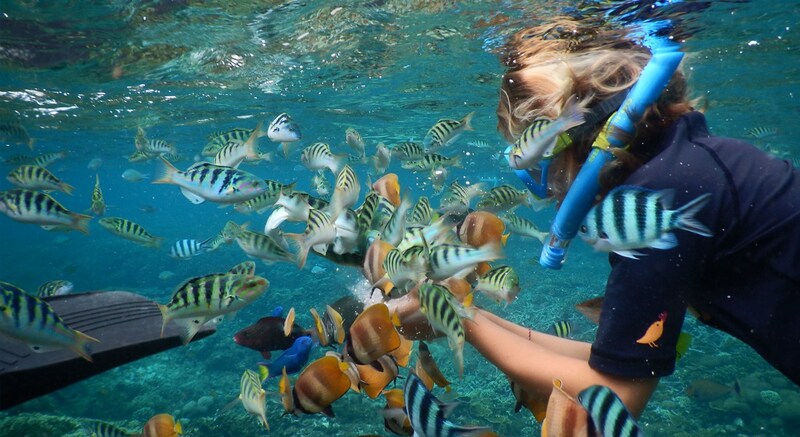 You will find there one of the most crystal clear water of Bali. You will see big sponges, nudibranch, mantis shrimps, cowries, cleaner shrimps & moray eels. Shoals of colorful anthias cover the corals, trigger fish, puffer fish and stingrays. Menjangan Island is the westernmost islands of Bali. The name is taken from an endangered species called Menjangan (deer). Anemones, gorgonians table, coral garden, eel, lion fish, even murray are some of the marine life you can meet at a depth of 3-10 meters. A bit of luckiness will get you to meet turtles, dolphins and whale sharks. The island’s coasts have deep troughs. The walls are filled with various types of coral reefs with dazzling colors where hundreds of fish live and roam around it. This is the one of the world’s best diving spot.